Analysis tools that capture, analyze, and measure the value, cost, and risk of diverse application portfolios. 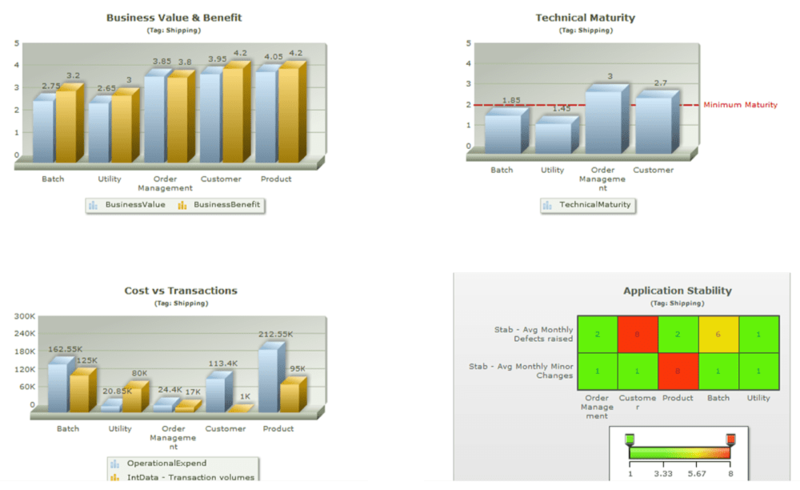 Enterprise View enables executives to manage their applications more efficiently. The technology gathers metrics about the value, cost, and risk of diverse application portfolios. Managers can then identify modernization and development priorities to optimize their applications. 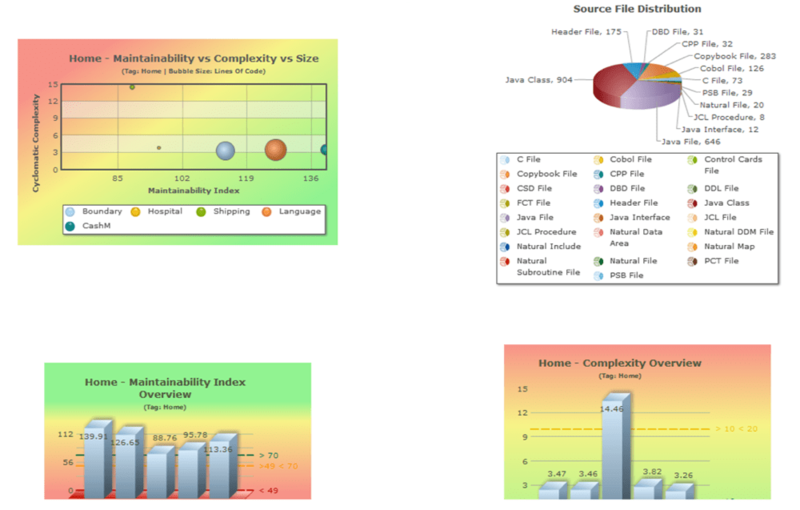 Enterprise View is a module within the market-leading Enterprise Analyzer platform. Graphical, business-centric dashboards combine data about application code, stakeholder opinions, and additional metrics like cost or failure rates, providing greater insight and application knowledge. Metrics can be filtered by business process, geography, development team, or other contexts. The data provides critical information, such as which development teams are performing and which outsourcers are not meeting SLAs. It also helps managers spot inefficient and failing applications where modernization efforts should be focused.